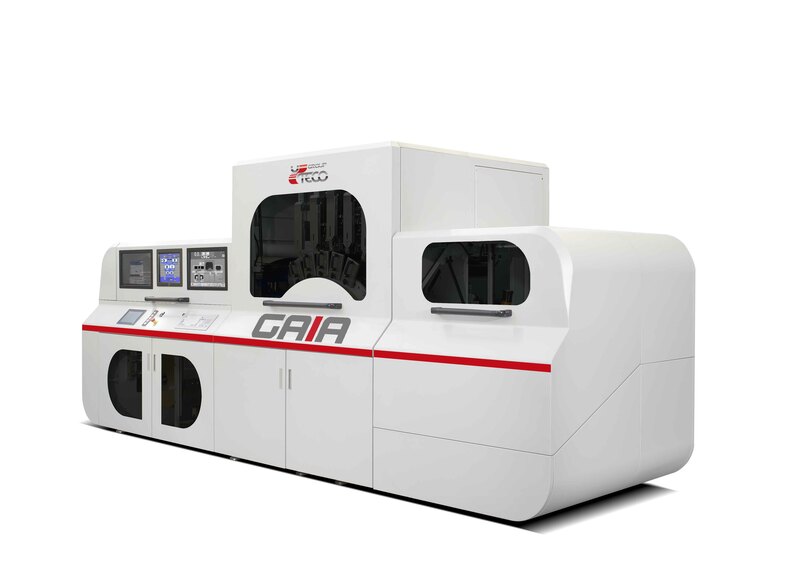 Uteco Converting, in partnership with Ebeam Technologies, has developed a modular, flexible and easy to use Gaia electron beam inkjet printer to print on flexible media, which will be showcased at Labelexpo Americas 2018. The Gaia is suitable for food and pharmaceutical packaging. It has the ability to print on aluminum, paper and films through electron beam curing technology and can reach max speeds of up to 320 ft/min. The Gaia can be configured up to 36 inches wide. This platform is ideal for short runs and variable personalized data. A second digital press developed in collaboration with Kodak, the Saphire Evo, will also be showcased. Through the use of water based inks, the Saphire Evo is the ideal solution for production digital related to short and medium runs, promotional printing with reduced production time, one shoot printing, customized advertising and personalized products. Just send the file and come take your reels. It has the ability to print on plastic films and paper reaching speeds of up to 900 fpm. The company is also showcasing the Onyx XS, the compact version of the Onyx range featuring the latest Uteco flexo technology designed to optimize short runs and guarantee higher quality printing. The high efficiency gearless printing group together with the main motor directly seated on the drum shaft provide industry leading performances in the field. In addition to conventional air drying for water based and solvent based inks, the Onyx XS can be equipped with UV lamps or an EB curing unit. There are many unique features that make this a popular platform such as touch & go, tune & go, automatic impression setting system, sprint wash system and more. The Onyx XS also offers easy access with no ladders or stairs to reach the upper decks. Between color, dryers are easy to remove and can rotate for easy access and cleaning. It is possible to customize the press with a series of optional equipment.